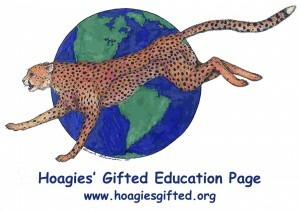 SENG, Supporting the Emotional Needs of the Gifted, brings attention to the unique emotional needs of gifted children and adults. You will find endless reading material in their resource library and may like to sign up for their monthly e-newsletter. Another useful resource is their series of webinars, known as SENGinars. These are generally held in the middle of the night for us in Ireland, but if you register, at a cost of $40, you can watch the recorded version at a time of your choosing. All past webinars are available to purchase also. The Davidson Institute for Talent Development is a private foundation founded in 1999 to recognize, nurture and support profoundly intelligent young people. They provide information and educational opportunities for teachers, school administrators, school counselors, pediatricians, psychologists, psychiatrists and other professionals in the USA. In their database you will find endless hours of reading material and a discussion forum. The Gifted Development Center in Colorado, has been assessing gifted children since 1979. They look at “giftedness from the inside–as advanced awareness and emotional intensity–as well as often being out-of-sync with the rest of the world.” Its Director, Dr Linda Kreger Silverman is a leading authority on giftedness and on their website, you will find information on assessment, twice exceptionality and visual-spatial learners. It is well worth a visit. Gifted and Creative Services Australia seems to be dormant for the moment, but is a fantastic, easy to navigate, mine of information on all things gifted.